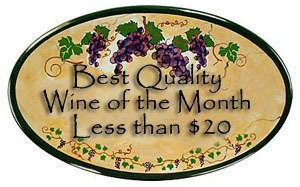 Recommendation: Quality Wine at a Bargain Price. Grape Variety: Rosé blend: Grenache, Syrah, Cinsault, Cabernet Sauvignon and Mourvedre. Geographic Origin: Cotes de Provence, France. Pared With: 1st Tasting: Vegetable soup. 2nd Tasting: Roast garlic & crackers. He said: 1st Tasting: Crystal clear, very pale pink color. Abundant floral bouquet. Smooth, almost creamy fruit (cherry, strawberry and current) taste and ends with a hint of dryness. The flavor begins with the bouquet and continues through the finish. For me, I had to get over the color first, but once I tasted it I was hooked. It is a VERY refreshing wine, FULL of flavor, and NOT sweet. For $10.80 it’s an OUTSTANDING bargain!!! 2nd Tasting: The wonderful creamy flavor was delicious with the roasted garlic. Actually the second bottle was better with the heavy (sweet) garlic taste. 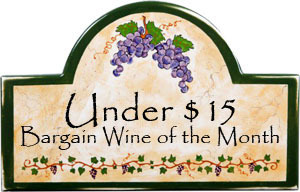 Again, this is a quality wine at a bargain price!!! She said: 1st Tasting: Fragrant bouquet that was almost perfumed, super smooth, medium dry flavor; almost creamy with slight acidity that lasted into the medium length finish. This is an excellent sipping wine which neither sharp cheddar nor dark chocolate improved. I grew up in the age of cheap Rosé and have avoided them as being too sweet. I will avoid them no longer and all because I had this one. It is EXCELLENT and a good buy at $10. 2nd Tasting: If you are one of those people that put up your nose at Rosé because it tastes like soda pop, try this and you might change your mind. With 13 percent alcohol it is certainly not the wimpy drink you might recall from yesteryear. 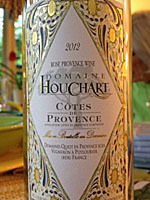 The pale red color belies the flowery fragrant bouquet and flavor that pleases the palette with its smooth creaminess. Medium bodied, with pleasant acidity that goes well with cheese, and it has a long tasty finish. It is hard to believe it is a Rosé. Comments: Many years ago the wine of choice for college students was cheap Rosé and Chianti. The Rosé was always sweet and for as long as I want to remember we didn’t drink any Rosé. Then at a Caviste Wine Shop, Beaujolais Tasting Russ Anderson introduced us to this Rosé and it has added a whole new dimension to our choice of wine.